Welcome to the Land of the Rising Sun! Tanzakura is a quiet place hidden away on the shores of a lake. Here, fine swordsmen find solace as they come to hone their skills in a peaceful setting, training hard to become leading masters of this fine art. The young Kubukimono is in the hands of the expert Samurai, spending hour after hour of hard graft in search of the key to become a legend of this fine art. So it’s now our turn to take a trip down by the lake to have a look at Tanzakura and all the swordsmanship going on there, thanks to this amazing video slot produced by Genii. Are you ready to unsheathe your sword and spar with the Samurai? With an RTP of 95.84%, Tanzakura is played with 5 reels and 3 rows and up to a massive 50 winning paylines available to you. Select the number of coins, the number of lines and coin value to determine your wager amount: the minimum bet is as low as € 0.01 with a maximum of up to € 62.5 if you’re playing 5 coins on all lines. Don’t be put off by the quiet environs of Tanzakura: there are a couple of interesting bonus features lying in wait! There are two types of Wilds in this slot: the Triple High Maiden is present on the third reel only, landing as a stacked symbol; the Single Maiden, on the other hand, is present on all reels except for reel 3. The Wild substitutes for any symbol except for the Scatters, but any win involving a Wild Symbol is doubled. Three or more Free Spins symbols landing on the reels will trigger the Free Spins mode, which can also be retriggered with 3 more Free Spins landing on the reels. Three Scatters will earn you a minimum of 10 Free Spins, 4 Scatters earn you 14 Free Spins and 5 Scatters award you 16 Free Spins. Finally, three or more Swan symbols award you the “Pick a Prize” feature. This feature can also be triggered during the Free Spins mode. With 5 Scatters you get to pick 3 out of 5 prizes, with 4 Scatters you get 2 prizes out of 4 and with 3 Scatters you get to pick just one. The Triple High Samurai can land on reels 1 and 2 only as a stacked symbol; on the other hand, it can land as a single symbol on reels 3, 4 and 5. This symbol offers a minimum payout of 18x your bet per line for three hits, 40x for four hits and 100x for five of a kind. Kubukimono is the other symbol which land stacked or single. A stacked Kubukimono can only land on reels 4 and 5, while a single version of this symbol can land on reels 1, 2 and 3 only. Kubukimono offers a payout ranging from 16x for three of a kind to 80x for five hits. The leaves and flowers are the four lower paying symbols of this game, with payouts between 2x and a maximum of 20x. A notch higher you will find the samurai weapons – nunchakus (10x to 30x), blades (12x to 35x), spear (14x to 40x) and the sword (15x to 50x). The sun sets over the tranquil lake Tanzakura, far from the bustle of the cities with only a volcano to be seen in the distance and the lake just in front of you. Tanzakura is a sleekly designed Asian-themed slot, with graphics designed in high quality reminding us of modern Japanese cartoons. 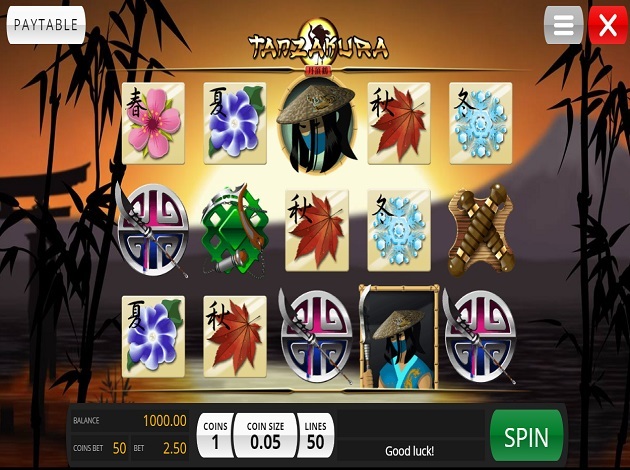 Welcome to the tranquil world of Tanzakura, a top online slot by Genii where you will meet sword-wielding Samurai and trainees using their swords to capture big prizes landing on the reels. With the variety of Wilds and Stacked symbols available in this game, together with the free spins mode, the quiet lake of Tanzakura might bring you some fantastic prizes! Genii is a game provider with the main focus to build the next generations online gaming platform. The company was founded in the 1990´s by a group of entrepreneurs – and they still to this day lead the fields of technical innovations. With the fast growth and development of the industry for the past years, Genii has recognized this and adjusted accordingly. 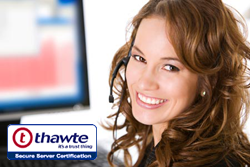 Since the start, they have worked tirelessly on their work and to improve, enhance, and evolve it. it is safe to say that they did a job well done! Their platform runs on a real-time engine which the co-developed with Microsoft, and Dell – which is among the greatest in the business. Genii needs the best to be able to achieve their goals and be capable of a rapid evolution. This has proven to work out very well for Genii, as they today have evolved into one of the world´s largest providers of mobile games for Android, iOS, and Windows phones. Their portfolio is a wide one and offers more than 130 games – all innovative, with great themes, rewarding payouts, and high entertainment values. Some of the games provided by Genii are Midnight Racer, Aladdins Loot, Pina Nevada, Wild Wizard, and much more. You can read more about Genii right here, and you can check out their portfolio at Videoslots.com. We wish you the best of luck – we hope that the future brings you the wealth only it can!